After decades in high-end shops and racing, boasting a few championships in Grand-AM and trophies from both Le Mans and the Daytona 24, the time was right for Bob Sanderson and Steve Cosgrove to go out on their own. Having worked in the Atlanta Metro area for years, a quiet shop right in downtown Kennesaw was the perfect place for Goldcrest to call home. 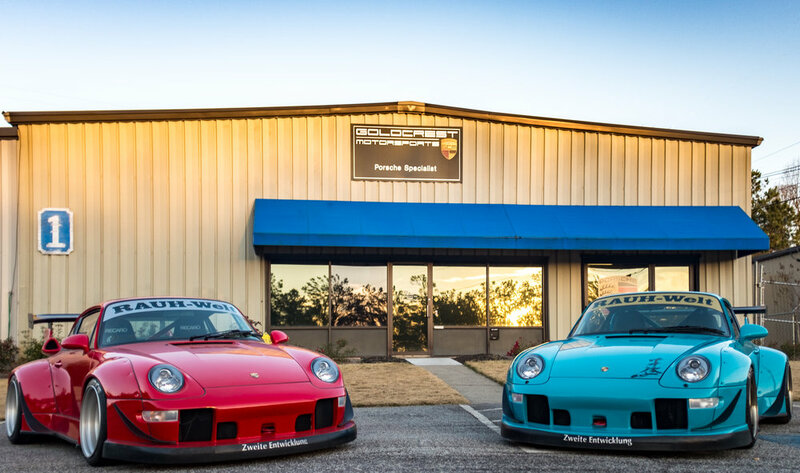 A dedicated Porsche only shop, Goldcrest focuses on Street cars, Racing and everything in between. Since starting in 2009 with a single 5,000 sq. ft. shop, thousands of oil changes and dozens of car builds later we’re now in three separate buildings one of which solely devoted to race operations.